It’s that time of the year again! 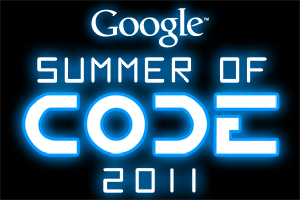 Google has opened its doors to student applicants for this year’s Summer of Code. Applications had started March 28 and will end on Friday, April 8th 7:00 PM UTC. That’s Saturday, April 9th 3:00 AM in the Philippines. For those of you who don’t know what Google Summer of Code is all about, it’s an annual program to give students from around to world some geek cred by working on several open source projects and get some cash on the side as well. The program has been happening every summer (North American summer, that is!) since 2005. This year an applicant can choose from 175 participating organizations for a project they’d want to do. These include the Blender Foundation, Drupal, Inkscape, KDE, Moodle, The Honeynet Project, and WordPress. Who can apply? Well, first and foremost you have to be at least 18 years old on or before April 25, 2011. You also have to be a student. Doesn’t matter what kind of program you’re taking: college, university, masters, PhD, undergraduate. The point is you have to show proof that you are currently enrolled in an accredited university/college educational program, whether full time or part time. No, your course doesn’t need to be computer related to join the Summer of Code. You just need to be technical enough to hack some code. How do you apply? You start off by making a proposal on the project you want to do. The proposal is subject to approval by a participating open source organization. You can check out the ideas page on the Summer of Code website to figure out what you’d like to do for a particular organization. You can also check out the student manual for tips on how to make your proposal. Once you’re accepted, you can finally start coding! But you don’t code for free though. You get a stipend for all that hard work you put in! This is how it works: If you get accepted into the program, you get USD 500. When you pass the mid-term evaluation of your project, you get USD 2,250. When you pass the final mid-term evaluation, you get another USD 2,250. So by the time you end your project in August, you have a total of USD 5,000 (roughly PHP 200,000)! If that isn’t incentive enough, I don’t know what is! Need more information? Head on over to the Google Summer of Code homepage right now!